Waters Corporation creates business advantages for laboratory-dependent organizations by delivering scientific innovation to enable customers to make significant advancements. Waters helps customers make profound discoveries, optimize laboratory operations, deliver product performance, and ensure regulatory compliance with a connected portfolio of separations and analytical science, laboratory informatics, mass spectrometry, as well as thermal analysis. Waters Corporation creates business advantages for laboratory-dependent organizations by delivering practical and sustainable innovation in the areas of liquid chromatography and mass spectrometry, two vital enabling technologies for today’s state-of-the-art analytical laboratories. 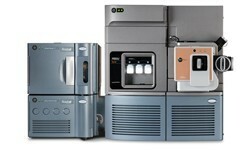 Waters instruments and software enable significant advancements in such areas as healthcare delivery, clinical research, forensic toxicology, sports medicine, drug discovery and development, environmental management, food and beverage quality control, food safety testing, and water quality analysis worldwide. Bringing keen understanding and deep experience to those responsible for laboratory infrastructure and performance, Waters helps its customers meet client expectations and satisfy delivery timetables, make profound discoveries, manage laboratory operations, manufacture quality products, and meet current Good Manufacturing Process (cGMP) and Good Laboratory Practice (GLP) requirements and comply with federal and international regulatory guidelines for the testing and manufacture of generic and brand name drugs. Pioneering a connected portfolio of liquid chromatography and mass spectrometry products, laboratory consumables, laboratory informatics, and post-sale support services, Waters’ technology breakthroughs and laboratory solutions provide an enduring platform for customer success. Contact Waters Corporation by clicking here. People behind the science: who is your bioanalytical hero? 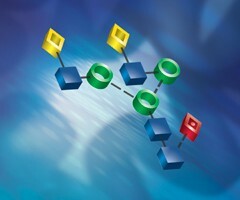 Peptides and proteins are not small molecules. Why treat them the same? 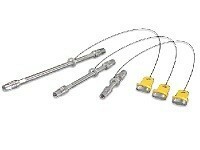 Waters CORTECS 2.7 µm Solid-Core Particle Columns have arrived!